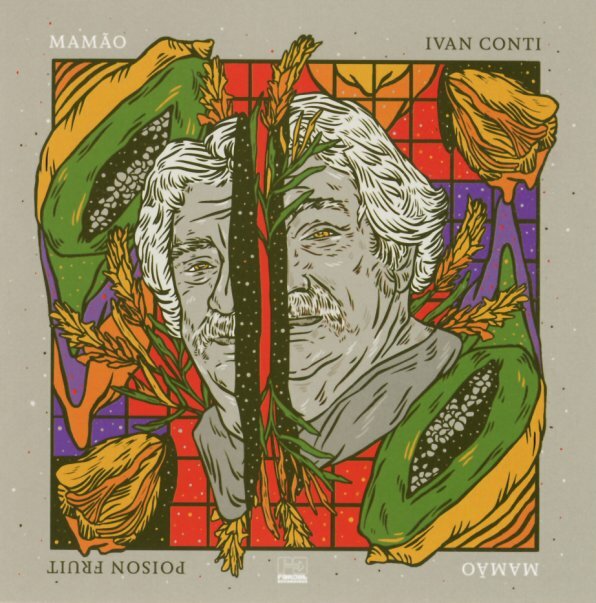 Really mindblowing work from legendary drummer Ivan "Mamao" Conti – a key part of Azymuth through that group's many years – and still going strong here as a solo artist on his own! The album's almost a 21st Century realization of the sound that Azymuth was going for back in the day – cascading percussion with plenty of influences from Brazilian music and jazz, often given some electric elements along the way – but always in a style that's warmly organic, and right on the groove! Conti gets help from younger Azymuth and Incognito generations – as Alex Malherios plays bass on the record and Daniel Maunick handles keyboards, more percussion, and production – all at a level that never stomps on Ivan's vision at all – and which instead makes the whole thing as rewarding as any Azymuth session we've heard over the past few decades. Most tracks are instrumental, save for some airy wordless vocals – but Thiago Martins sings lead on "Que Legal", and other titles include "Aroeira", "Bacurau", "Poison Fruit", "Jemburi", "Ecos Da Mata", "Encontro", and "Tempestades". © 1996-2019, Dusty Groove, Inc.